Was able to find the border fabric today when I was out and about and finally was able to finish this quilt. A friend asked me to sew this little blanket for her daughter. I wasn't too happy about the fabrics, slippery, but it did turn out awfully cute. Made this for the Handmade challenge for Sew Cal's blog, it isn't too late if you want to enter something. I drug this top out of obscurity. I started it in Virginia. WHAT WAS I THINKING? Was there any rhyme or reason to this? If I were to do it now I would place the squares differently. I know, there is still time...but No way.....it is together and that is what it will be. I have a few more squares to make in order to make it longer. It took me forever, I know...some of you could just pick up where you left off and you are thinking...simple Log Cabin. Well...for some of us it takes a little longer....(not the sharpest knife). But it took me a few times of ripping out to get the square correct. Now I just need to add them. I kept thinking to myself, why didn't you just finish this when you were working on it. No name calling should be allowed when trying to pick up where you left off. Be sure to read all of the directions....or you just might cut the squares the wrong size. YEP!!!!! Not the sharpest knife. I had machine stitched two blocks...went to cut to size..... Once again...no name calling allowed!!! So...you take your unfinished project, bundle it up...it has been forgotten. You need a piece of fabric and you spot it in the bundled project and think (because you have forgotten)...oh I will just use a little of this. When it comes time to go back to said project, you are now missing or don't have enough fabric. Remember...no name calling allowed. As you can see, it is so much more worth it to finish the project right then...at least to the top stage....Yep....it is easier said than done and I applaud anyone who does this. I think.....don't take my word for it because sometimes projects just appear but I only have about two tops besides the ones above that are in the unfinished stage....That is my goal...to get those to the top stage and possibly done. Yep...You heard it here...GET UR DONE!!! SO MANY CHOICES WITH THIS SCRAPPY QUILT! This Scrappy quilt is 99" x 99"....how I came up with that heaven only knows but I love love how it turned out. I wonder how this would work on my king size bed???? So................ I had such a debate about this quilt. What color to make the sashings.....white, yellow, black??? Ended up with gray and I so love it. Then the next debate was whether I should do a fancy border or just plain stripes. As you can tell the stripes won out. I felt if I made a fancy border that it would just become a UFO and besides this is just a Utility quilt, not a show quilt. Next debate, should I do fancy quilting or just meander the puppy??? Once again, if I chose to fancy quilt it it might become a UFO. Meandering would take less time and get the job done. I will confess tho I was so tempted to do some fancy FMQ and still wish I had of but for the sake of time....I think I made the right decision. I also wrote down my time when I was meandering it on my domestic machine. It took me four hours and nineteen minutes to quilt it. It took me an hour to sandwich, iron, and add to the batting and about an hour to put the binding on. So we are looking at a little over six hours from start to finishing the quilt top. This is my scrap basket....these are all the scraps I have accumulated since my sewing room has been up and running here. This is me working on a scrap quilt. If you have been reading my blog, it is okay to say you haven't...life is busy...but if you have been reading, my sister and I made a quilt a while back. She used here marblelicious fabrics and made two of these and I used my Samoan fabrics. Here they are (excluded the row I am working on). I decided to assemble them together with my scraps...Scraps only were invited. See how I used my scraps in between four blocks and then took the same and did a border around each block? After I put the blocks together I decided to put a gray sashing in between them. We are just playing it by ear at this point. Same scrap basket after using up scraps (what the stink happened)? Aren't the scraps suppose to go down? So my question to you is.....WHEN does it end?????? CHO CHOO......WATCH OUT FOR THE TRAIN!! I used my embroidery machine to put the name in the middle, after I got it embroidered I came up with the rest of the design. I just love it, I hope the little gal it is for loves it as well. I found this on ebay called Embroidery Machine Thread Netting.....how clever is this? Well...I got to looking at it and it is no more than the Lei netting used to make Lei's....How smart is that? For now, my thread is just happy as a lark in this drawer....sometimes I line them up around my embroidery machine but for now....yep...call me organized!!! Ha!! There is nothing like thread to give a person that inspiration boost they need.....ummm ummmm delightful!! Thanks to all of you for commenting on my giveaway and joining us in the Tamarinis Blog Hop. You have such a sign upon entering the drive of your house....HA!!!! It says, "We don't dial 911"
I just had to get this for my husband. Before I married him he took me hunting, I didn't like guns, didn't want anything to do with them, still don't....but we all have our loves and passions. I do believe in our Constitutional right to bear arms...sorry, had to put that in. This is not a political blog for sure. Now being out here in the woods, ya gotta have guns. Just the other day a copper head was sitting by our back door. There also have been gator sightings in peoples ponds so we don't go anywhere unless we are packing (not me....we meaning husband). So...nothing of a quilting nature. I am working on a few things but nothing to show as of yet. Life has taken over at the moment. Do take a look at my sidebar and if you have time visit the blogs for the Tamarinis Blog Hop, today is the last day. There are fun things to be won including mine in the post below this one. THE TIME IS HERE, THE TIME IS NOW!!! If you have been following Tamarinis Blog hop, you will know that today is my day!!! Then go here to win a free class with Tammy Silvers "Quick Quilted Gifts"
Then if you missed the wonderful post by Freemotion by the River showing an awesome Halloween Wall hanging by Tammy Silvers you can go here. I know, that is a lot to do but will be soooooooooooooooo worth it. So are ya ready for my project by Tammy? DOUBLE DUTCH CANDY!!! We all know how much I love candy!!! I have to say that this looks more awesome up close and personal and that Island Batiks made this project so yummy and fun. I have taken a few classes with Craftsy (still have a few waiting for me to finish taking....) and they are so worth it. If you want to learn a new technique (which Tammy will show you some awesome ones) or if you just want to butter up on some old ones craftsy is the place for you. Tomorrow is Freemotion by the River again, you can find the link on this post or on my sidebar. Hope you are enjoying the hop so far. So I am giving away this snap bag and key fob, the fabrics I used was Witch's Brew by Island Batik. I love love love this fabric. soooooooooooooo I made me one but my gosh...I made mine inside out....pooey...I wanted the two toned bag..oh well....I still love it. All you have to do is comment and tell me just one thing you enjoy about Tammy Silvers Hop. DON'T YOU JUST LOVE MEETING NEW PEOPLE? There is one thing we all have in common....we love our blogger friends. It seems that less and less people are commenting (myself included)....more of us are lurking (me included)...and we have less time (me included). Well....I do hope you take the time to go over to Tamarinis's blog , just to check her out. Meet her, find out what she is all about, and then check out her Craftsy class, which she will tell you about today! You don't even have to comment here...just go there and do leave her a nice comment. I can't leave you without a picture so here goes,,, This is what I have been working on as of late. Most of the fabrics are Island Batiks, The borders and background are not. I love love how the Raindrops line helped me in making the water ....I just love batiks. As I said before, they are easy to work with and in my opinion (I know, you didn't ask for it) they are great for applique. 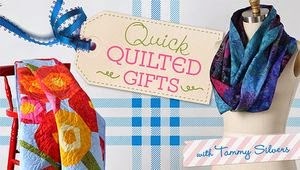 Tammy Silvers has just begun a class on Craftsy "Quick Quilted Gifts" and that is what we are celebrating. She uses the amazing Island Batik's in her projects as well. She is an amazing designer and teacher. 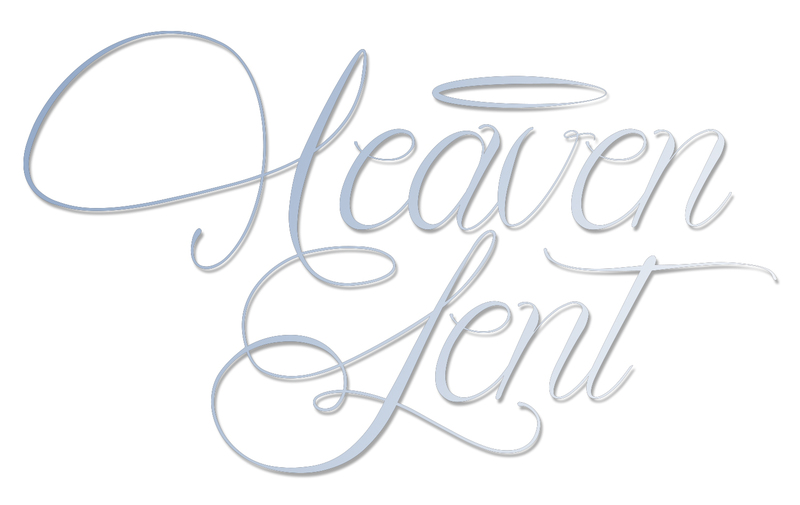 We are starting off the week with a wonderful Blog Hop. Island Batik is first on the list and they are giving a summary of the weeks events. Island Batik is giving away Five, one yard cuts, of their most awesome Batiks as well. I don't need to tell you how much I love their Batiks....if I sound like a broken record, I am so sorry but...I just love them!!! Here is the list of bloggers involved....doesn't this look fun? So Hop on over there, put your name in the hat, and enjoy Tammy's wonderful designs. For your convenience I have placed a list of the blogs on my sidebar.